This medicine is to help lower high blood pressure. What is Rasilez used for? Rasilez tablets contain the active ingredient aliskiren, which is a type of medicine called a renin inhibitor. It works by preventing the action of an enzyme in the body called renin. Normally renin helps the body make a compound called angiotensin I, and this is converted into angiotensin II as part of the body's natural control of blood pressure. Angiotensin II causes blood vessels to tighten and narrow, which increases the blood pressure. By blocking the action of renin, aliskiren reduces the production of angiotensin I and II. This allows the blood vessels to relax and widen, which lowers blood pressure. How do I take Rasilez? The dose prescribed depends on how well your blood pressure is controlled. Follow the instructions given by your doctor. Your Rasilez tablet should be taken once a day, at the same time each day. You can take the tablet either with or without food, but you should always take it in the same way, whichever you decide. Swallow the tablet with a drink of water. Don't take it with fruit juice or drinks containing plant extracts (including herbal teas), because these can reduce the absorption of the medicine into the blood and thus make it less effective. If you forget to take a dose at your usual time take it as soon as you remember, unless it is nearly time for your next dose. In this case, just leave out the forgotten dose and take your next scheduled dose as normal. Do not take a double dose to make up for a missed dose. Rasilez needs to be taken on a long-term basis to control your blood pressure. Unless otherwise directed by your doctor, it's important to keep taking it regularly every day Otherwise your blood pressure is likely to rise again. What should I know before taking Rasilez? Blood pressure lowering medicines such as Rasilez can sometimes make you feel dizzy or weary. If affected you should avoid performing potentially hazardous tasks such as driving or operating machinery. 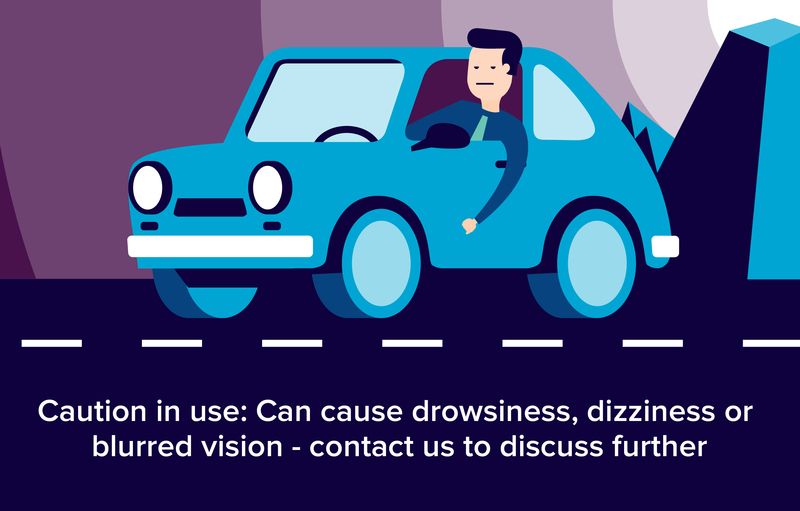 If you feel dizzy this can usually be relieved by lying down until the symptoms pass. Any dizziness may be made worse by drinking alcohol. If you frequently feel dizzy you should let your doctor know, as your dose of this medicine may need adjusting. The most common side effect associated with Rasilez is diarrhoea. If you get diarrhoea that becomes severe or doesn't go away you should consult your doctor. This medicine may rarely cause an allergic reaction called angioedema. Stop taking Rasilez and consult your doctor immediately if you experience difficulty breathing or swallowing, or swelling of your face, lips, tongue, throat, hands, feet or ankles while taking this medicine. People with a history of swelling of the lips, face or tongue (angioedema) with no known cause, or caused by previous use of aliskiren. People with an inherited condition called hereditary angioneurotic oedema, which causes nettle-type rash and swelling around the eyes, mouth or hands. People with diabetes or kidney problems who are taking an ACE inhibitor or angiotensin receptor blocker medicine. People with severe kidney problems. People who are allergic to any of ingredients of the medicine. If you feel you have experienced an allergic reaction, stop taking Rasilez and inform your doctor or pharmacist immediately. People with heart disease, such as heart failure. People with kidney disease or decreased kidney function. People with low salt or fluid volume in the body, eg due to high-dose diuretic therapy, low-salt diet, or severe blood loss, diarrhoea, vomiting or dehydration. People with a history of allergies, particularly allergic reactions involving swelling of the lips, face or tongue (angioedema). The safety of aliskiren for use during pregnancy has not been established, however there is potential that it could be harmful to a developing baby. Rasilez should not be used during pregnancy, in particular during the second and third trimesters. If you get pregnant while taking this medicine you should stop taking it and seek medical advice from your doctor. It is not known if aliskiren passes into breast milk. The manufacturer states that it is not recommended for women who are breastfeeding. Seek further medical advice from your doctor. What are the possible side effects of Rasilez? Medicines and their possible side effects can affect individual people in different ways. The following are some of the side effects that are known to be associated with aliskiren. Just because a side effect is stated here does not mean that all people using Rasilez will experience that or any side effect. Increase in the amount of potassium in the blood (hyperkalaemia). Severe allergic skin reactions, including Stevens Johnson syndrome or toxic epidermal necrolysis. Severe swelling of lips, face, tongue, throat, hands, feet or ankles (an allergic reaction called angioedema) - see what should I know above. If you want any more information about the possible side effects of Rasilez you should talk to your doctor or pharmacist, or read the leaflet that comes with the medicine. If you think you have experienced a side effect, did you know you can report this using the yellow card website? Can I take other medicines with Rasilez? It is important to tell your doctor or pharmacist what medicines you are already taking, including those bought without a prescription and herbal medicines, before you start treatment with Rasilez. Similarly, check with your doctor or pharmacist before taking any new medicines with Rasilez, to make sure that the combination is safe. Non-steroidal anti-inflammatory drugs (NSAIDs, eg indometacin, aspirin, ibuprofen, diclofenac, naproxen) may reduce the blood pressure lowering effect of aliskiren. If you have any existing kidney problems, for example due to dehydration or old age, taking this type of painkiller with aliskiren may also worsen your kidney problems. Don't take this type of painkiller with Rasilez unless it is recommended by your doctor.